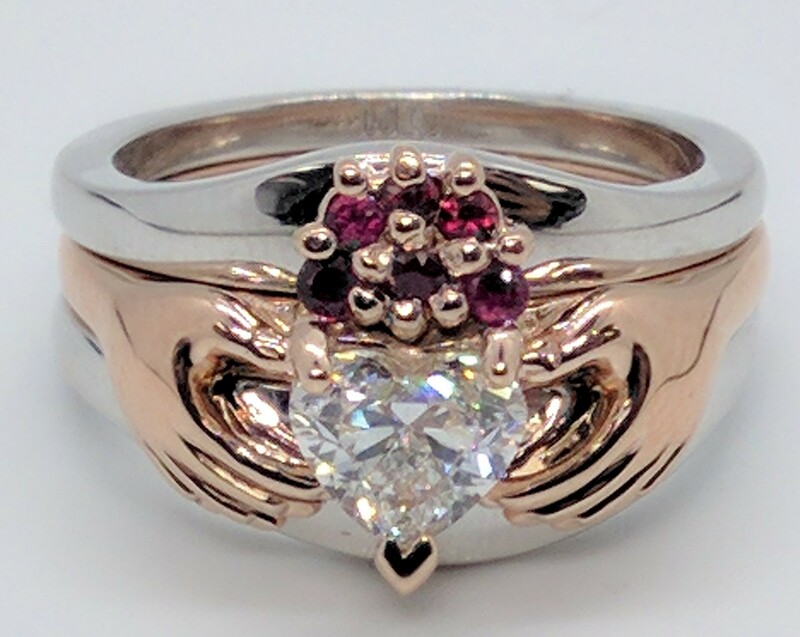 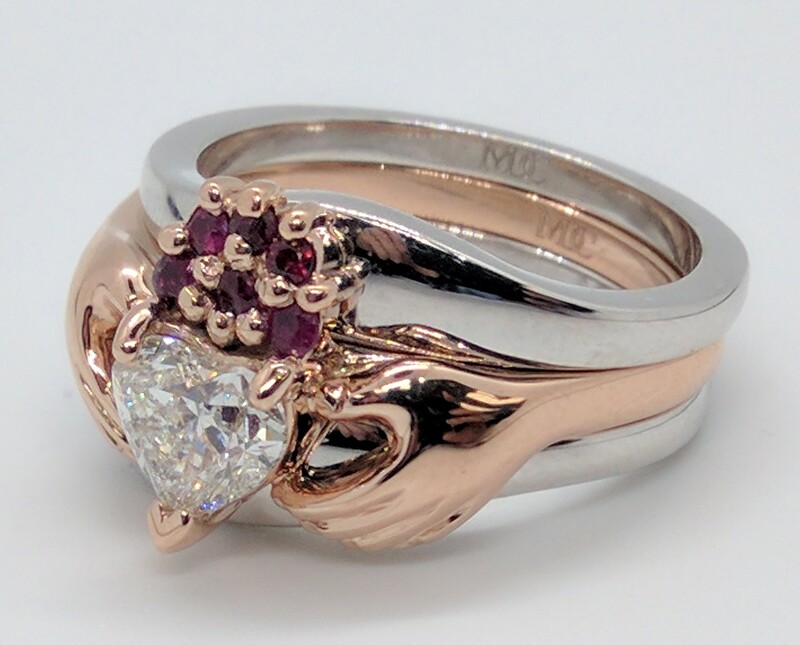 This Claddagh rose gold heart diamond engagement ring features rubies in the crown, is designed for a heart shape diamond in the center from 3/4 carat and up (shown in pictures with a 0.7 carat center). 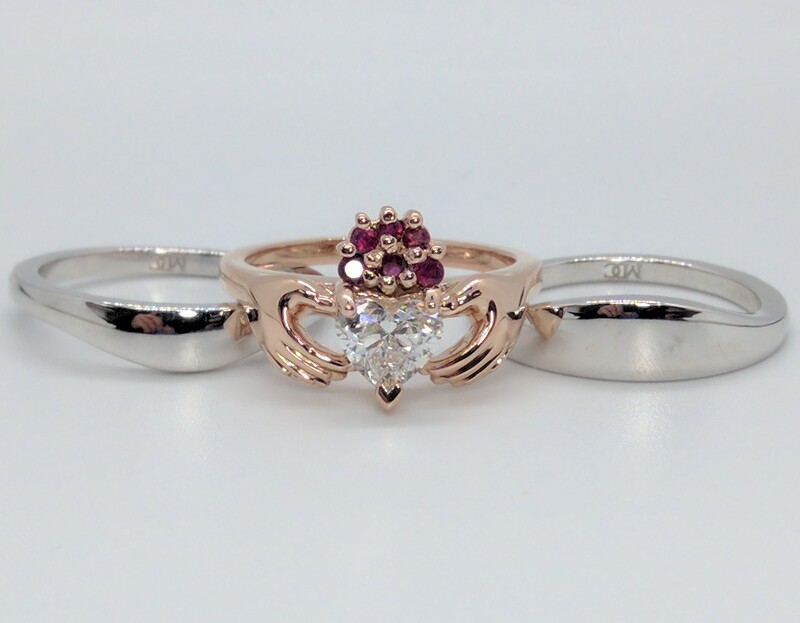 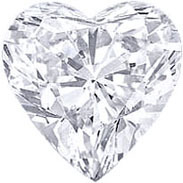 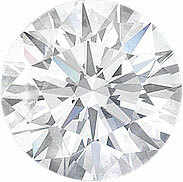 Available in other metals and alternate stones in the center and crown. 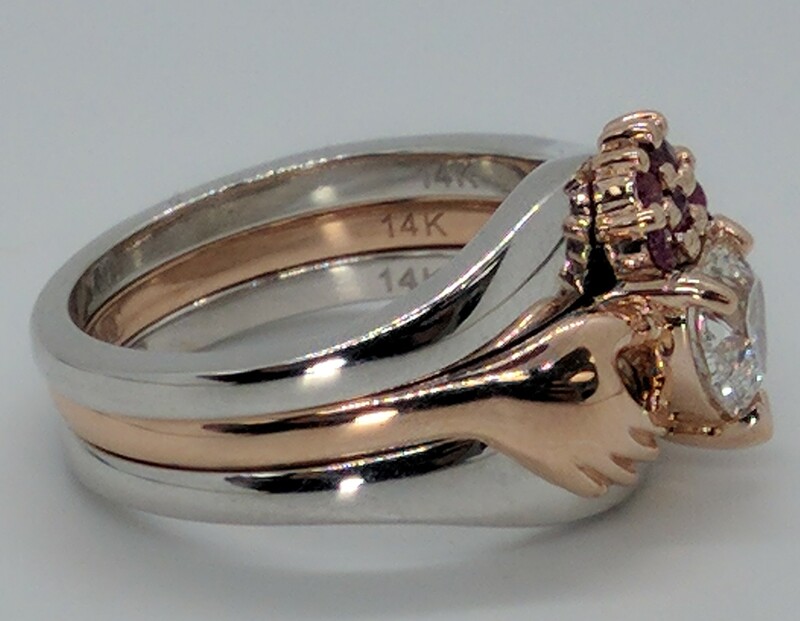 Accompanied by two curved wedding bands in white gold.